Invisalign© braces are removable, comfortable and almost invisible. People choose Invisalign© for orthodontic treatment when they don’t want obvious brackets. Invisalign® is our most popular orthodontics treatment and patients are always so pleased with the results. 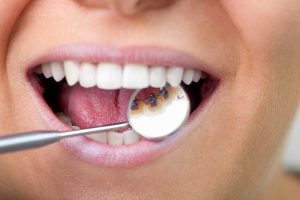 Lingual braces are fixed metal braces that sit on the inside of your teeth. This is the treatment choice for people who want fixed metal braces but do not want them to be visible. 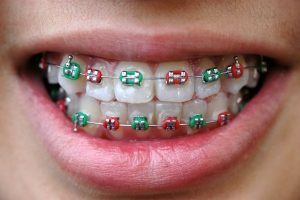 Like all other orthodontic treatments, it can be uncomfortable to begin with but you get used to them. Sapphire Braces® are clear fixed braces. The brackets are made from a clear material which makes them hardly noticeable. Sapphire Braces® are a great option for people who want fixed braces but do not want them to be noticeable. 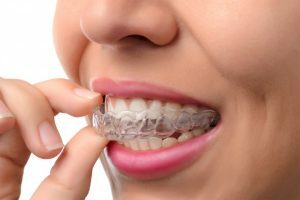 These braces are a good alternative for people who are not eligible for Invisalign® treatment but want a clear appliance. 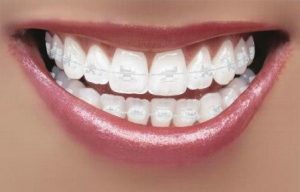 Fixed metal braces are a great option for children and adults who are happy to have visible braces. They are relatively quick an easy to fix and maintain. The bands get changed every few weeks and you pick from a range of colours or just have them clear.